Tom manages both to put me at my ease and to keep me on my toes: he listens in a welcoming,attentive way that makes room for an honesty I sometimes didn’t even know myself capable of. His conversational style encourages me to engage with my experience and the words I find for it in a sustained but unstrained way. Over time he’s helped me to keep my ear tuned, in and out of office, what matters most to me. Tom manages both to put me at my ease and to keep me on my toes: he listens in a welcoming, attentive way that makes room for an honesty I sometimesdidn’t even know myself capable of. His conversational style encourages me to engage with my experience and the words I find for it in a sustained but unstrained way. Over time he’s helped me to keep my ear tuned, in and out of office, what matters most to me. Tom has been a wonderful therapist to work with across the years. He has a warm, kind presence that puts oneat ease yet he also listens intently and asks insightful, strategic questions to ensure that self-reflection and progress are taking place. Tom is flexible, accommodating, communicative, and good-humored. He deftly engages both the abstract and the concrete, an essential skill for helping others reconcile emotions, ideas, and real-world needs and challenges. His space is conveniently located in Center City and pleasant to spend time in. I highly recommend Tom to experienced and novice therapy-seekers alike. Tom has been a wonderful therapist to work with across the years. He has a warm, kind presence that puts one at ease yet he also listens intently and asks insightful,strategic questions to ensure that self-reflection and progress are taking place. Tom is flexible, accommodating, communicative, and good-humored. He deftly engages both the abstract and the concrete, an essential skill for helping others reconcile emotions, ideas, and real-world needs and challenges. His space is conveniently located in Center City and pleasant to spend time in. I highly recommend Tom to experienced and novice therapy-seekers alike. **Mr. Bartlett will contact you to consult and to confirm your appointment prior to meeting. He can accept PPO and Choice plans as an Out of Network Provider and will submit bills to insurance on your behalf. In special circumstances he is willing to meet via secure online video connections. 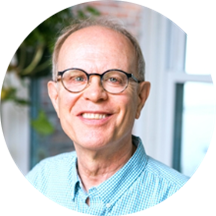 ** Mr. Bartlett has been in private practice for over 25 years, offering attentive and thoughtful psychotherapy and psychoanalysis in a comfortable home office with a private waiting area. He is welcoming, accepting, engaging, and flexible, and makes patients feel at ease. His approach incorporates his training in psychoanalysis, existential and cognitive behavioral therapies, as well as his personal practice of yoga and meditation. Patients visit him for a wide array of problems, including problems in work and in relationships, alcohol abuse, depression, anxiety, insomnia, Obsessive Compulsive Disorder and personality disorders. Mr. Bartlett earned his master’s degree in clinical psychology from the University of Pennsylvania, as well as master’s degrees at Duquesne University in philosophy and in phenomenological psychology. Subsequently, he completed a two-year internship in clinical psychology at the Institute of Pennsylvania Hospital. Mr. Bartlett is an active member of the Psychoanalytic Center of Philadelphia, the American Psychoanalytic Association, and the International Psychoanalytical Association. Prior to graduate school, he studied for many years in London, England with R.D. Laing's Philadelphia Association. He says he is slow to recommend medication, but works in concert with a number of psychiatrists should he or the patient believe that medication might be beneficial. Therapy is a potentially risky waste of clinical, financial, and, yes, mental/emotional resources if it does not rest on a free and trusting connection between practitioner and patient. If it isn’t there, go to your GP, get some moderatelydosed SSRIs, and buy yourself a leather jacket. I have been to almost a dozen therapists over my 32 years for depression, anxiety, and substance abuse, and very few of them were “bad,” but very few of them “worked” for this reason. Tom is the most exceptional of these exceptions. I can’t guarantee that another patient will connect with him as I did, but I can absolutely vouch that he is a professional of the first order who treats his patients’ welfare with intense care and will be the first to suggest an alternative (better than the one I suggested above) if his approach isn’t working. That’s really the only guarantee one can make for an excellent therapist since excellent therapy is a team effort, but I’ve never worked with someone as patient, insightful, and honest as Tom, and, for me, it has made that effort immensely worthwhile.